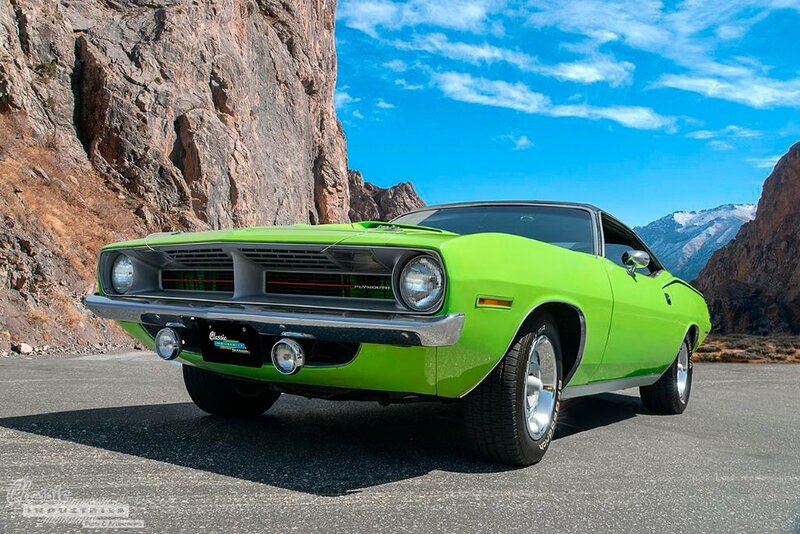 One of our favorite things about late '60s and early '70s Mopar cars is their use of vibrant High Impact paint colors. From Sublime and Panther Pink to Go Mango and Lemon Twist, even the names of these hues made an in-your-face statement. They also played a large role in keeping these cars memorable, even to non-car-enthusiasts. One of your friends might not know the first thing about cars, but he'll certainly turn to stare at the bright green muscle car with the roaring V8 engine. 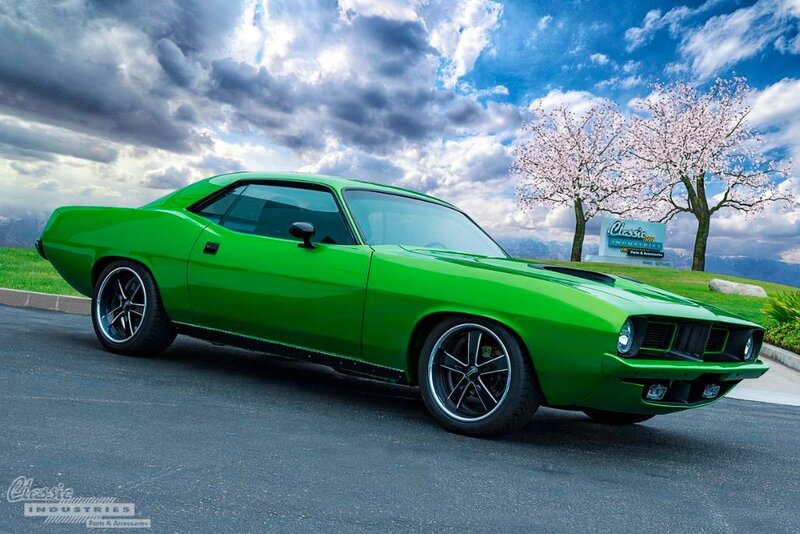 This 1970 Plymouth 'Cuda belongs to Alex Uribe, of Redlands, California. 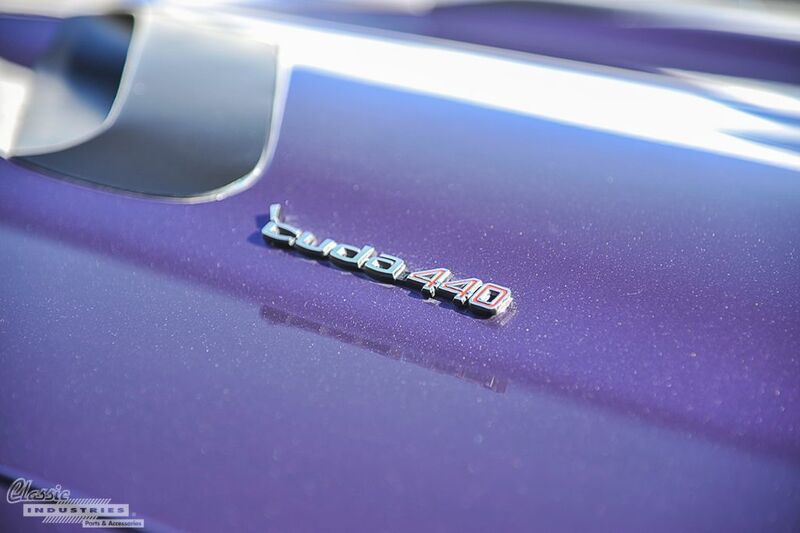 The car is painted In Violet, which was Plymouth's name for the purple known as Plum Crazy on Dodge models. It’s every car enthusiast’s dream to participate in a barnfind. To discover a car of their childhood, a rare and highly sought after muscle car that had been stowed away in a garage (or front yard) for decades, or just a cool car that seems unloved and underappreciated. Unfortunately, the reality is that regardless of the kind of car it is, or how rare it is, it’s still an old car. It’s been sitting in the same spot, languishing in someone’s garage or driveway, possibly for decades. So, what if you find one, and it looks good enough to drive? 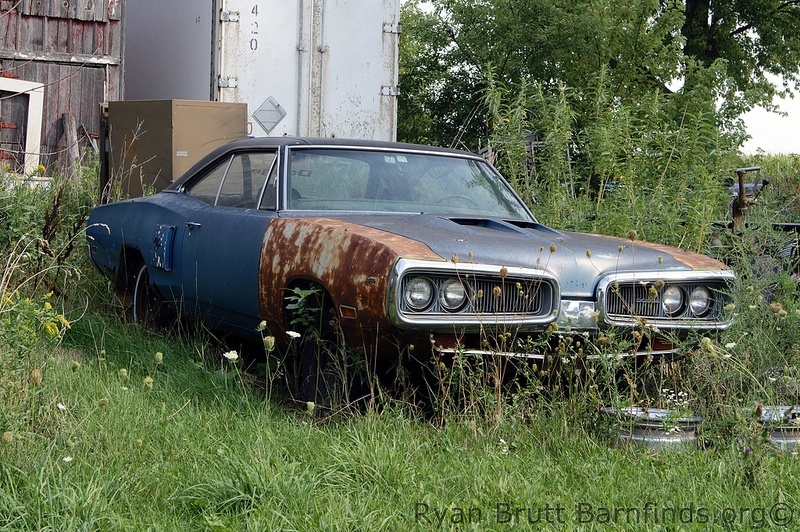 Muscle Car Review published an article outlining this very situation of finding a vehicle that’s been stowed away for decades, and what to do if you want to drive it. 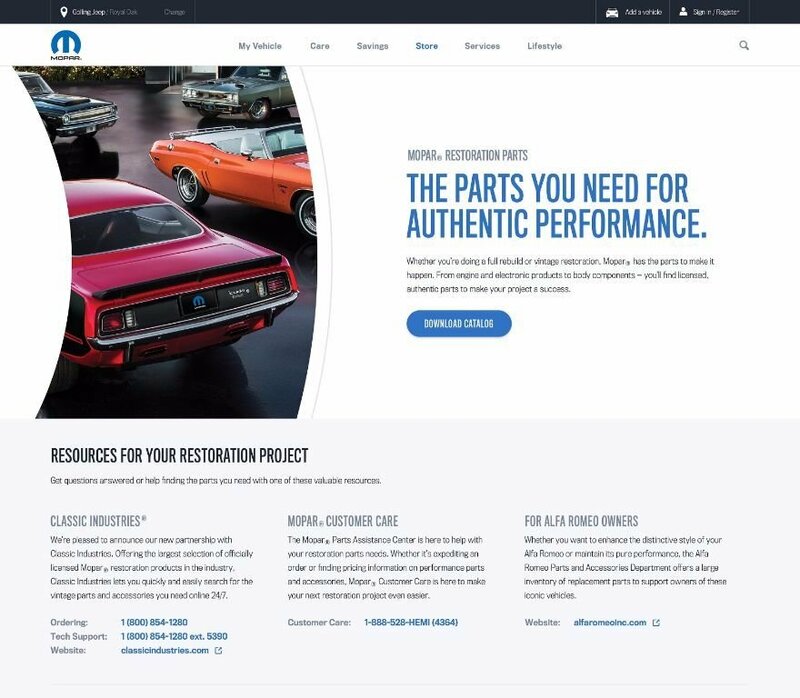 Mopar has partnered with Classic Industries to introduce a new Restoration Parts Web Portal that will allow customers to resource and buy Mopar-licensed restoration parts for classic Mopars. This is a most welcome resource, as searching for restoration parts that are high quality; authentically licensed products can be a challenge.The new Mopar restoration parts page, seen above, prominently features Classic Industries as the leading source for restoration parts and accessories. Users of this new site can download the latest Classic Industries Mopar parts catalog with a single click. It's always tough to let go of a car you love, but sometimes these decisions become necessary. 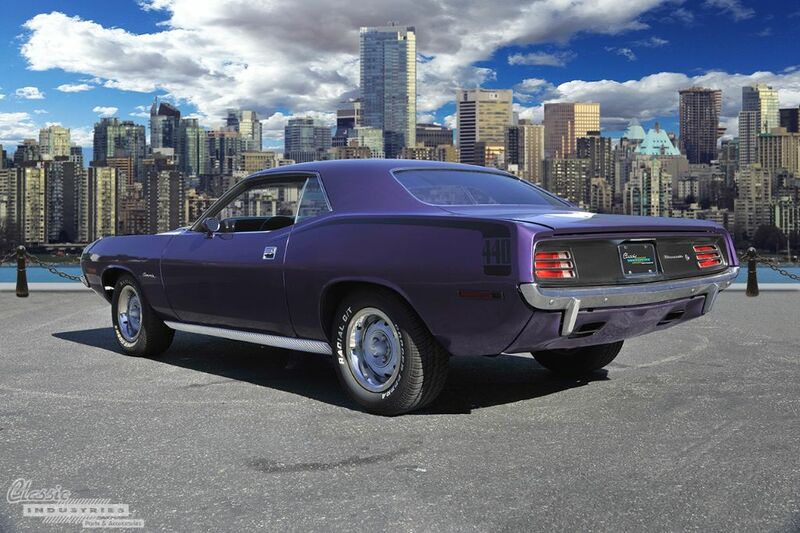 When we spoke to John Schwarz, of Huntington Beach, California, he told us about the 1970 Barracuda he owned in high school. When he graduated, John didn't want to sell the car, but he also wanted to go to college and improve his job prospects, so he made the tough decision to let it go and put the cash towards his education. Ever since he sold his first Barracuda, John wanted to find another. In the summer of 2016, his hard work finally paid off, and he was able to purchase the 1970 Plymouth 'Cuda seen here from a friend. Thanks to his patience, he ended up with a car that's even nicer than the one he had back in high school. Every journey into classic car restoration has to start somewhere, whether that's diving in head-first with a basket-case wreck from a junkyard, or starting gradually by putting a few finishing touches on a partially-completed project. 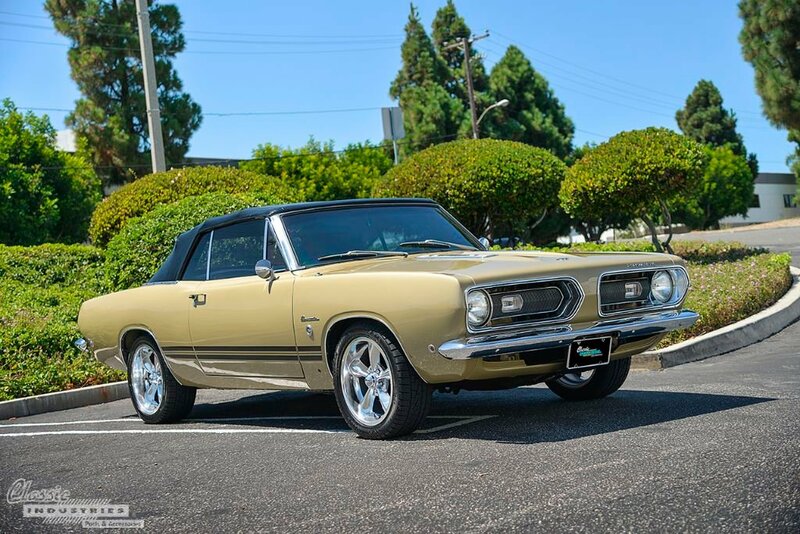 For Gilbert Villegas, of Anaheim, California, this 1968 Barracuda Formula S represented the beginning of a love for working on classic cars. 2015 MOPAR Catalog - New Restoration Parts! Classic Industries is proud to announce its latest MOPAR catalog, packed full of new A, B, and E-Body restoration parts and accessories! In this post, we've compiled a sample of the many all-new products you'll find in the pages of our latest MOPAR book. To see even more groundbreaking products, check out the 2015 catalog, now available in full-color printed format or as a PDF digital download. Back in the heyday of the muscle car, it took Dodge a while to catch up with the Mustang, but it's said that perfection takes time. 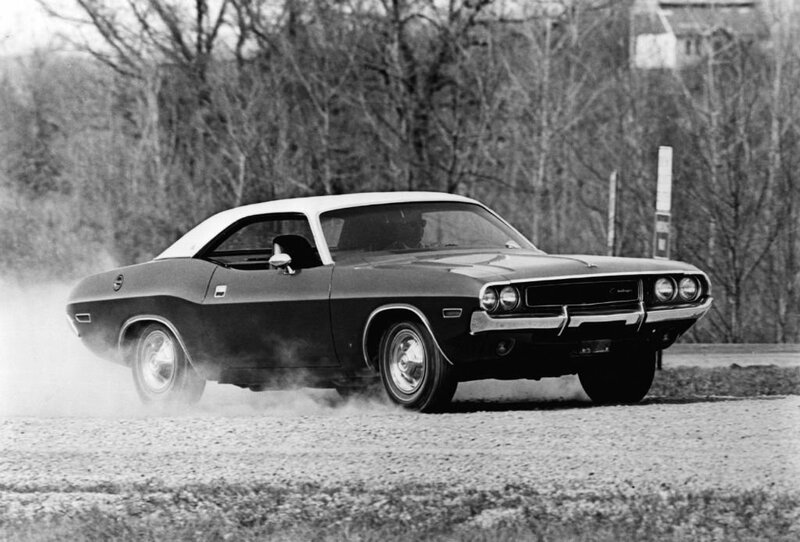 Thanks to the efforts of product planners, designers and stylists who gave it progressive styling, tapered high-back bucket seats, powerful engines, and an all-out muscle car demeanor, Dodge Challenger was the hottest automobile Chrysler Corporation had ever produced. 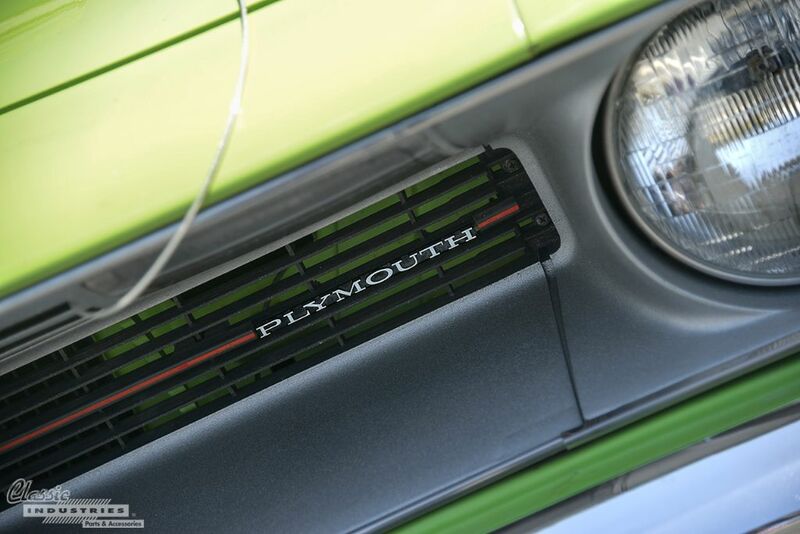 We've always been big fans of the Plymouth Barracuda, especially in its final 1970-74 iteration. The sleek lines, wide stance, variety of potent engine choices, and vibrant color options made it a strong contender in the muscle car era. So, when we saw this lean, green resto-modded Barracuda pull into our showroom parking lot, we knew we had to check it out. Popping the hood of this rusty Plymouth to reveal its new Hemi heart will be a pleasant surprise… unless you’re about to race against it, that is. 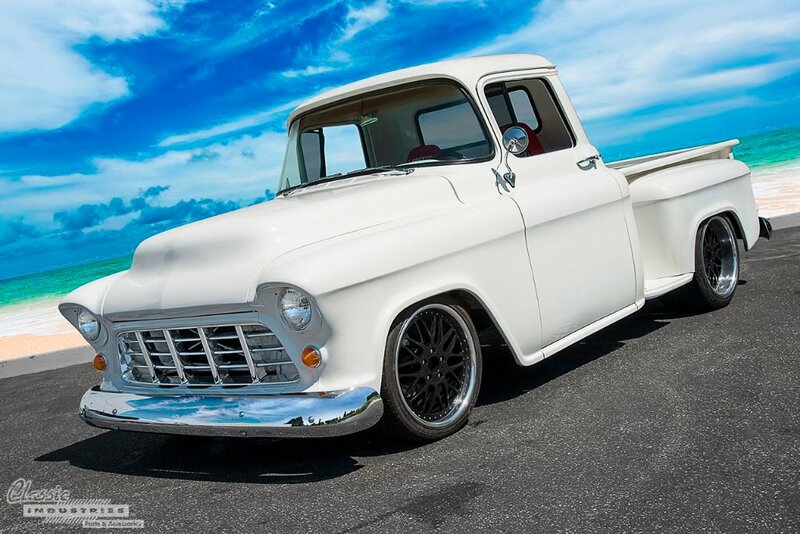 Here at Classic Industries, we love sleeper vehicle builds—even the name evokes mystery. Much like a sleeper cell of operatives that infiltrates a bigger group, waiting for the right time to strike, sleeper cars are perfect for hiding in plain sight. The dented beater that rolls up to you at a stop light might just blast by you with tires ablaze when you least expect it. This unexpected characteristic never fails to keep things interesting.